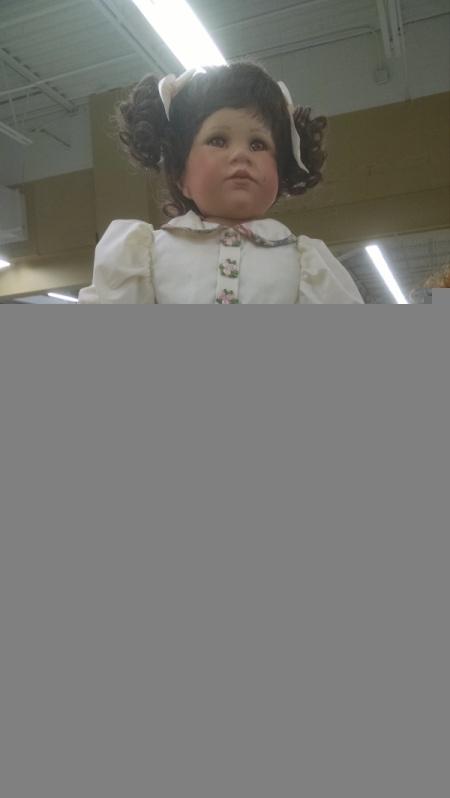 I bough a porcelain doll at my work and on the tags it says it was made by Jeanne Singer and her name is Gina. 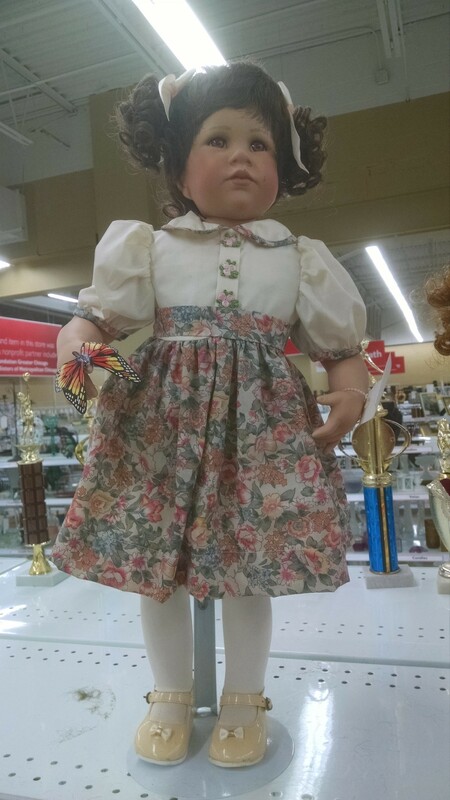 I can only find 2 online sources with info and pricing, but the doll I have has red eyes and the same exact one on the website I found has brown eyes and sold for $30-$50 on eBay. Is this a maker's error? is it worth more? What is it?